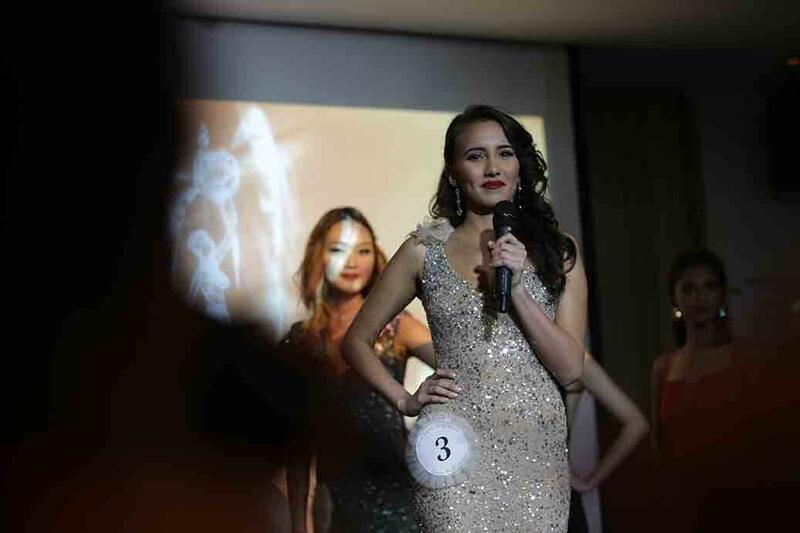 Student Manuela Bruntraeger won the coveted title of Miss Earth Singapore 2016 at the pageant’s grand finals held on Saturday (24 July) evening at The British Club. The 23-year-old, who is currently pursuing an arts degree at the LASALLE College of the Arts, beat seven other contestants for the crown, and is now in the running to become Miss Earth 2016 in the international round in Manila on 15 October. 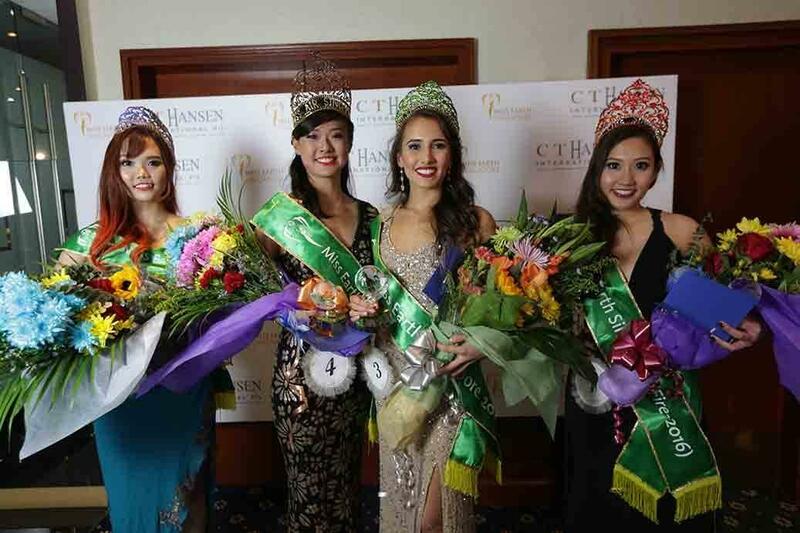 The runner-ups, who received the titles for Miss Earth Singapore – Air, Fire and Water, were contestants Shronn Tay, 22, Vanessa Rani, 21, and Toh Xin Pei, 22, respectively. 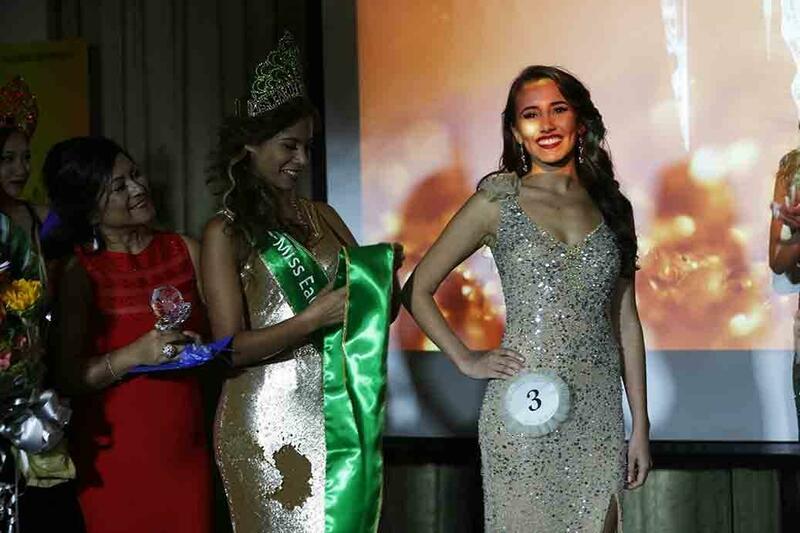 Meanwhile, the Miss Photogenic, Miss Popularity, “Best in Swimsuit” and Miss Friendship (an award for the friendliest contestant) titles went to Ann Lopez, 18, Toh, Bruntraeger, and Janice Tay, 25, respectively. During the question-and-answer segment, the eight judges took turns to grill the contestants, mostly on the topic of saving the environment. The judges were PestBusters chief executive Thomas Fernandez, PengWine founder Chris Milliken, Lampe Berger CEO Simon Gay, Miss Earth Philippines 2012 Princess Lieza Manzon, The British Club’s head of activities and events Chris Olayres, Channel NewsAsia newscaster Timothy Goh, C.T. Hansen CEO Cheryl T. Hansen and Miss Earth Singapore 2007 winner Nicole Chen. Hansen’s question to Bruntraeger – “What makes you cry?” – was probably easiest of the night. “If I see something that’s worth the emotion, that touches me, it’ll make me cry,” Bruntraeger replied. Milliken asked Janice Tay about what could be done to save the world’s endangered penguins. The PengWine founder has named his wines after the 17 species of penguin that exist today. Janice Tay cheekily replied with “Stop drinking” before breaking down into tears after Milliken urged her to be serious. “I’ll get some of the girls… we’ll brainstorm (and think of) something,” she added, teary-eyed. The event, organised by C.T. Hansen, was the 10th Miss Earth Singapore pageant held in the Republic.